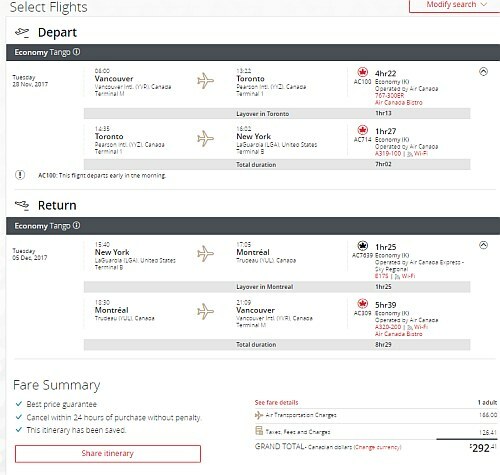 Air Canada has dropped the price of their flights from Vancouver to New York City in late November and early December down to $292 CAD roundtrip including taxes. The flights are in and out of New York's LaGuardia airport (LGA) and have 1 stop each way, in Toronto or Montreal. 3. Once your Priceline search completes, remove the checkmarks from 'up to 1 stop' and 'up to 2 stops' on the left hand side. You should now only see non-stop flights. On Priceline, the price will show up as $260 USD roundtrip including taxes. Priceline is *always* in $USD. vancouver, yvr, flight deals, air canada, new york city, ewr, united states, north america, new york, newark, laguardia, lga and new jersey. 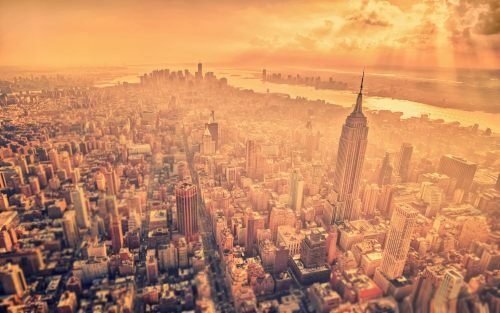 No Responses to "Vancouver to New York City - $292 CAD roundtrip including taxes | 1 stop flights"